Happy Guru Nanak Jayanti Date 2019 in India: One of the most sacred festivals in Sikhism called the Guru Nanak Jayanti, marks the birth of Guru Nanak, the first Sikh Guru. It is also known as Guru Nanak Gurpurab. In Sikhism Gurpurab means ‘Festival of Gurus’ and is the most venerated day in the Sikh Community. Guru Nanak was the founder of the Sikh religion and took birth on 15th November, 1469 in Shekhupura, Pakistan. His birth is celebrated on Kartik Pornima, which is a full moon day. The celebration normally is observed in the month of November, but based on the Indian Calender the dates differ yearly. The methodology of celebrating this festival is usually the same for all Gurpurabs. Celebrations begin with Prabhar Pheris which consists of processions which start from the Gurudwaras and then move around the localities singing hymns. This festival is basically observed for three long days. Two days prior to the Guru Nanak Jayanti Akhand Paath is held i.e., the Guru Granth Sahib, which is the holy book of the Sikhs, is read mom-stop for 48 hours at the Gurudwaras. The next day, a Nagar Kirtan is organised, which is a procession lead by a troop of five people named as the ‘Panj Pyaras’ (Five beloved ones) who are seen possessing arms. The devotees in the procession walk along holding the Nishan Sahib (the Sikh flag) & a decorated Palki (Palanquin) in which is placed the Guru Granth Sahib. A local band plays drums and other musical instruments in the procession along with the people singing the sacred hymns. Teams of people called ‘Gatka’ wearing traditional attires show-off their martial arts skills and perform unrealistic battles using swords and other traditional weapons. For this juncture, the passages through which the procession is all filled with banners and gates are seen beautifully adorned with flags and flowers. On the actual day of Guru Nanak Jayanti, the festivity embarks at early 4 am, the time which is known as the Amrit Vela. People begin with singing the morning hymns called Asa-di-Var, followed by reading of Katha that upholds the emblematic life of Guru Nanak & recitation of Kirtans praising the Guru, this is followed by some perceptual lectures. As the day advances further, a community kitchen called the ‘Langar’ is arranged where a free meal is served to the devotees, with no racial discrimination. The Langar concept was introduced by Guru Nanakji. The meal consists of only vegetarian cuisines and people enjoy this sitting together on the floor. The kitchen is availed by the Sikh volunteers. Jo sharda kar sev de. Gurbani is referred to as the speech of wisdom or the speech of conscious mind (antar atma). Some people also interpret it as the speech from the Supreme House (Dhur Ki Bani). Shekhupura (now well-known as Nanaka Sahib) is observed to be a hub of activities much prior to the arrival of the Guru Nanak Jayanti. The State Government makes special arrangements for this occasion along with the managing committee. Sikh pilgrims coming from different parts of the world visit this place in large numbers. These people actively take part in the events carried out on account of Guru Nanak Jayanti and get blessings. During this auspicious day, the Golden Temple in Amritsar is full of devotees coming from all part of India for worshiping Guru Nanakji. The temple is illuminated beautifully putting up an awe-inspiring sight. Decorated flowers also add up to the beauty of the temple. The people living in the U.K., Canada and the U.S. pay a visit to the Gurudwaras present over there to seek the blessings of the Guru Nanakji. Devotees gather in large numbers and actively take part in all the ceremonies. Even here langars are arranged for the devotees followed by prayers which go on uptil late nights as Guru Nanak took birth after midnight. Guru Nanak Jayanti is also known as Gurpurab. Gurpurab is a combination of two different words; Guru and Purab, where Purab means a festive celebration. Gurpurab basically marks the remembrance of the birth or death of the Sikh Gurus. It is the Sikh tradition of celebrating the anniversaries of the Sikh Gurus. 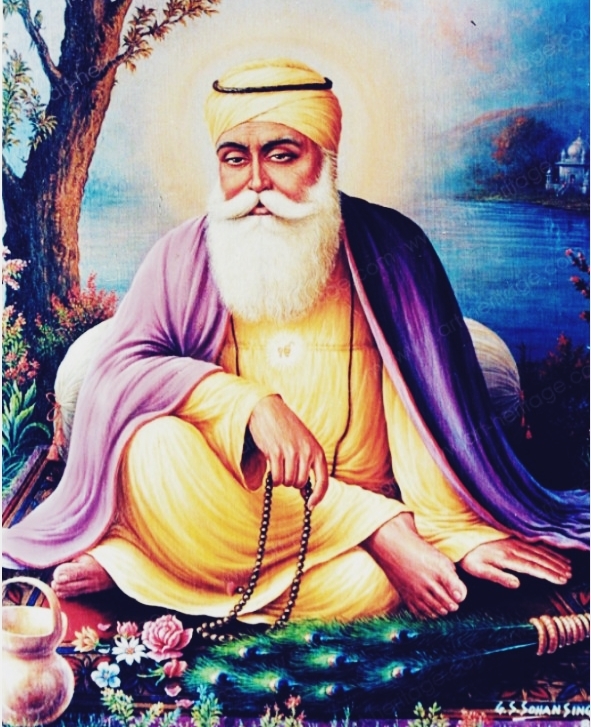 The Gurpurab commemorates the birth of Guru Nanak and his succeeding Gurus as well. Guru Gobind Singh, was the 10th Guru after Guru Nanak. His birthday comes in the month of December and the celebrations are the same as the ones done on the Gurpurab of Guru Nanak. Akhand Paath, procession, Katha, Kirtan, Langar, midnight prayers are the ways in which the day of Gurpurab of Guru Gobind Singh and other Gurus are celebrated. On the days of Gurpurab people gather at the Gurudwaras to attend the talks given on the lives and teaching of the Gurus. The Gurpurab of the 5th Guru, Guru Arjan falls in the months of May or June, which are known as the hottest months in India. He was sentenced to death on 25th May, 1606 at Lahore by Jahangir, the Mughal Emperor. The celebrations for this day are again the same as that for other Gurus. Being the hottest days in India at this occasion, the devotees at the Gurudwaras are served with ‘Chhabeel’ which is a chilled sweetened drink made of milk, sugar, water and some essence. It is distributed free of cost in the Gurudwaras and everyone in the neighborhood irrespective of caste, creed and religion. The Sikhs come together and celebrate the Gurpurabs overflowing with utmost enjoyment and follow all the rituals commemorating the birth of the Sikh Gurus. The devotees eagerly await the Gurpurabs to witness the sacred celebrations that take place in the Gurudwaras and other localities.